If you like your big money jackpot fun then Mega Moolah is the game for you. 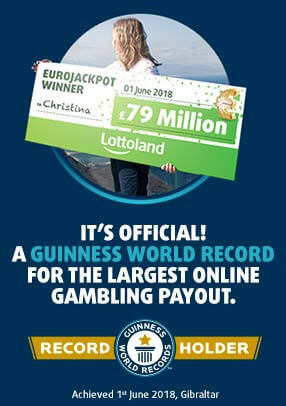 Its blend of red hot game-play and progressive payout power make it a winner in anyone’s book. They don’t come much bigger than Mega Moolah. This record breaking game is one of the web’s favourite progressive slots and after a few spins you’ll see what all the fuss is about. With a base game that knocks out the prizes and a big triple-paying free spin round to boot, this is one title that’ll keep you coming back for more, time and time again. Mega Moolah gives you 25 adjustable pay-lines on which to make your bets. Select your coin size using the + and – buttons with coins ranging between £0.01 and £0.05. Use the SELECT LINES button to choose the number of active pay-lines for the next spin. The SELECT COINS button allows you to assign between 1 and 10 coins to each of the game’s active pay-lines. The SPIN button starts your game. When the reels stop in place any wins are evaluated before the free spin round or progressive bonus game triggers. Stop in 3 scatters anywhere in view to earn access to the Mega Moolah bonus feature with 15 free spins. All prizes are trebled for the duration of the feature round and you can earn an additional 15 free spins by stopping in a further 3 scatters. The big money jackpot game can trigger randomly at any time during a normal game spin. This takes you to a wheel of fortune style bonus where you can win one of four different jackpots – MINI, MINOR, MAJOR and MEGA – all of which pay different sized prizes.